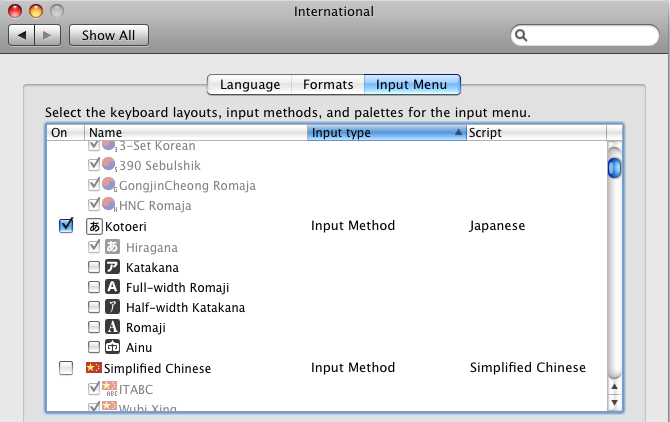 This tutorial will show you how to install Japanese typing and display ability for ALL programs running on Mac OS X. 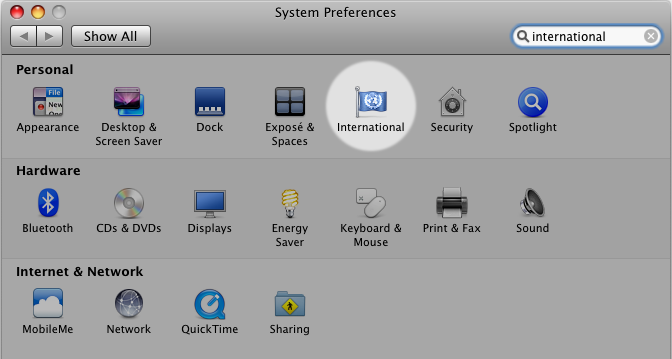 In the System Preferences click on the "International" icon. You can also find this option by searching for "international". There are 3 tabs on the top of the "International" window. Click on the one labeled "Input Menu". Then make sure "Kotoeri" and "Hiragana" options are checked. 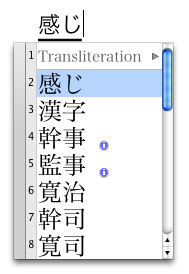 NOTE: You do not need the other options to type Hiragana, Kanji and Katakana. To keep things easy I recommend you ONLY check "Hiragana". Even without checking the other options you will be able to use them. 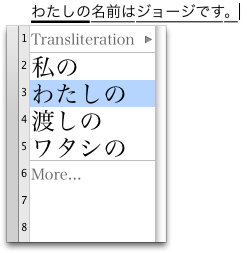 However, if you plan on using "Half-width Katakana" then you must have this option checked. One the top right near the system clock you will see a new American flag icon. If you click this you can switch to Japanese input mode by selecting Hiragana..
1. American flag on top right of screen. 2. 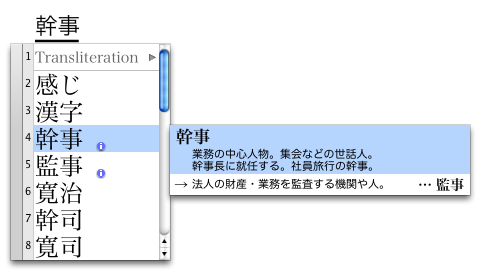 Click flag then select Hiragana. 3. American flag changes to Hiragana icon. a new document and practice a word. Make sure you are in "Hiragana" mode and type "kanji". You will notice right away that once you type "ka" Hiragana replaces it. The system is very smart when it comes to choosing the correct Kanji for your sentence. A big pet peeve of mine is watching people change the language settings by manually clicking on them. You can easily switch language options and even input methods with the following shortcuts. changing the language from the language icon. NOTE: If you have installed other input methods from Step 2 then this shortcut will cycle through each of them each time you enter it. This is why we recommend only added "Hiragana" so that you only have to use the shortcut once to cycle back and forth. The '~' key is on the left side of the 1 key. NOTE: This can only be done while the text is still underlined. Each time you use this shortcut on underlined text it will cycle through the various versions.